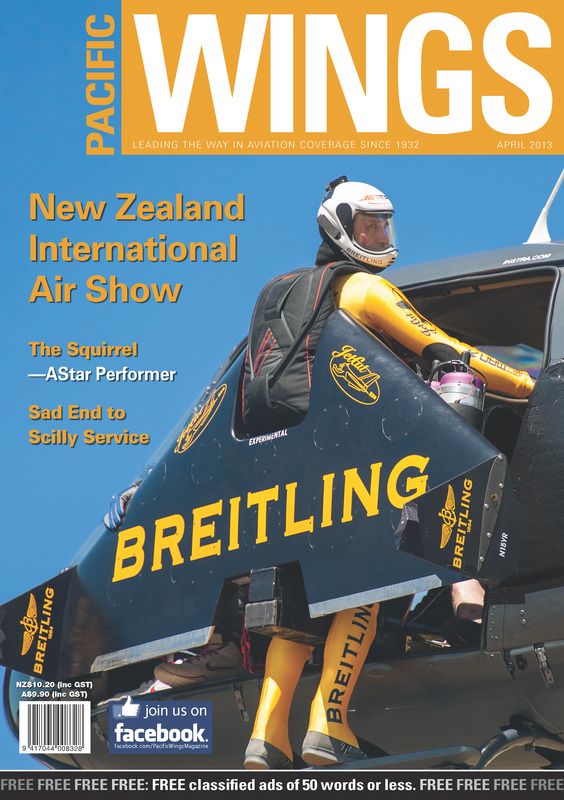 The New Zealand International Air Show featured a host of outstanding live broadcast technology aimed at bringing a new “face” to the air-show scene. Sadly, even the “Jetman”, Yves Rossy, did not draw the crowds organisers had hoped for. Having crossed the Tasman in an Antonov An-2 in 1995, Neville Cameron decided to do the same thing more recently—in a Cessna 150. After following a similar route to Guy Menzies’ first solo trans-Tasman crossing in 1931, Neville was far less popular with the authorities upon his arrival in New Zealand. Peter Cooper reports on the final days of what was the world’s longest continuously operating commercial helicopter service, which ran between the English mainland and the Isles of Scilly. Paul Sortehaug continues his series of articles on New Zealand’s air aces with the story of Wing Commander Donald Carson DFC. Rob Neil summarises the successful career to date of the worldbeating Eurocopter AS350/355 family.